Since the release of the plugin's version 1.3.1, models can now provide shows from their mobile phones. Here, you will find out how to do that. 1. You will need to open the plugin and your Skype on your computer, as usual, and be logged into both of them. 2. Open your mobile phone and log into the same Skype account you logged on your computer. 3. When a SkyPrivate Member calls you, answer his call from your phone. 4. 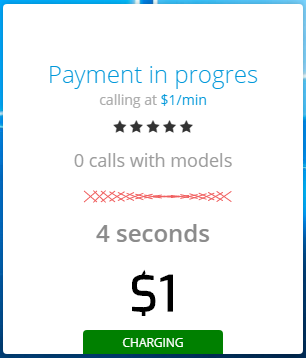 Once you answered the call on your phone, the plugin opened on your computer will charge the member per minute, as usual. 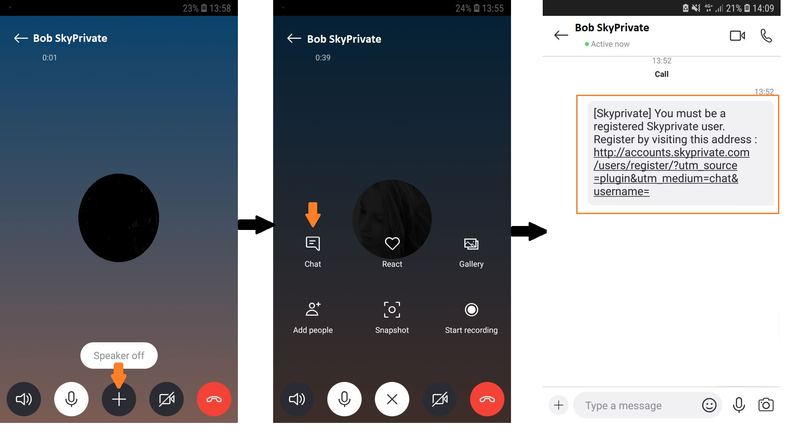 Since there is no plugin/software installed on your phone, you will not see the usual window which pops up whenever someone calls you on Skype, that recognizes the person as being a SkyPrivate Member or not. How do you recognize SkyPrivate Members then? Settings -> Public Profile -> Plugin Settings, select "Yes" at "Reject calls from users not on SkyPrivate". This setting will still allow them to add you on Skype and to text you but they will not be able to call you. 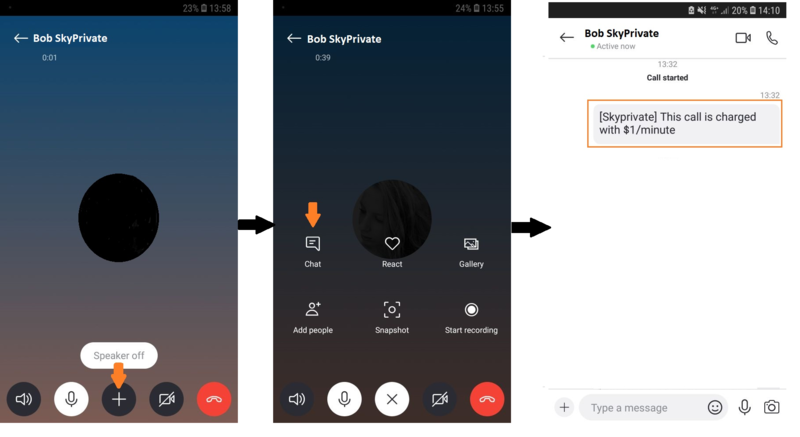 b) The plugin will send a specific message -> If you activated the option to "Reject calls from users not on SkyPrivate" stated above, you will also receive an automatic message in the phone's Skype chat. Once you answered the call on your phone, to see the chat click on the "+" button and then on "Chat", as in the image below. c) The plugin will let you know if the call is being charged -> Once you answered the call on your phone, the plugin will send a message confirming that the call is being charged, if the person who called you is a SkyPrivate Member, as in the image below.